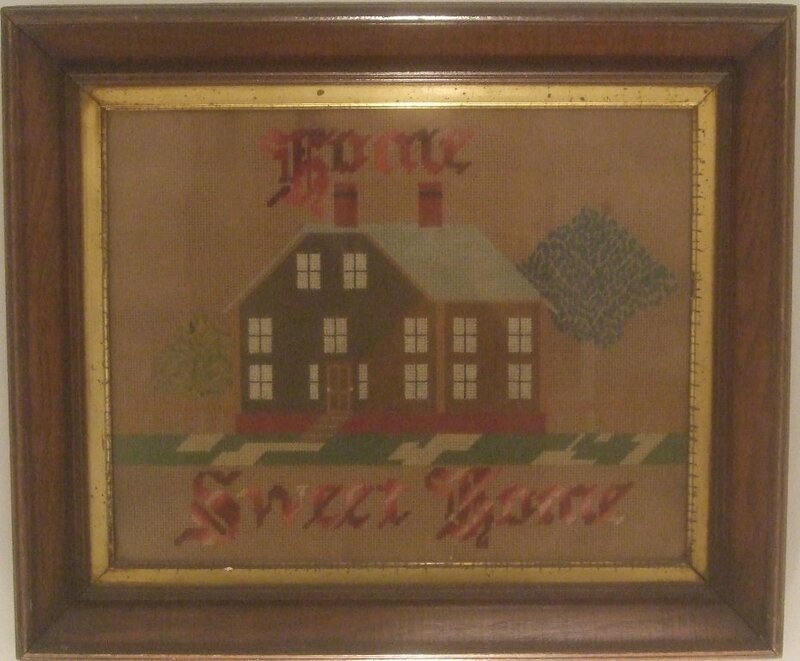 One of a series of 'motto' pictures that were hand embroidered and framed to adorn the household at the turn of the 20th century. These supplanted earlier sampler needleworks and pictures that were produced in schoolgirl academies. The house in this example is particularly charming with all those mullioned windows. These upright verticals are the more unusual examples of the type; probably the majority are narrow horizontals with mottoes.